A television drama created by Jon Steinberg and Robert Levine, Black Sails takes place in the Golden Age of Piracy and is intended as a prequel to Robert Louis Stevenson’s classic Treasure Island. 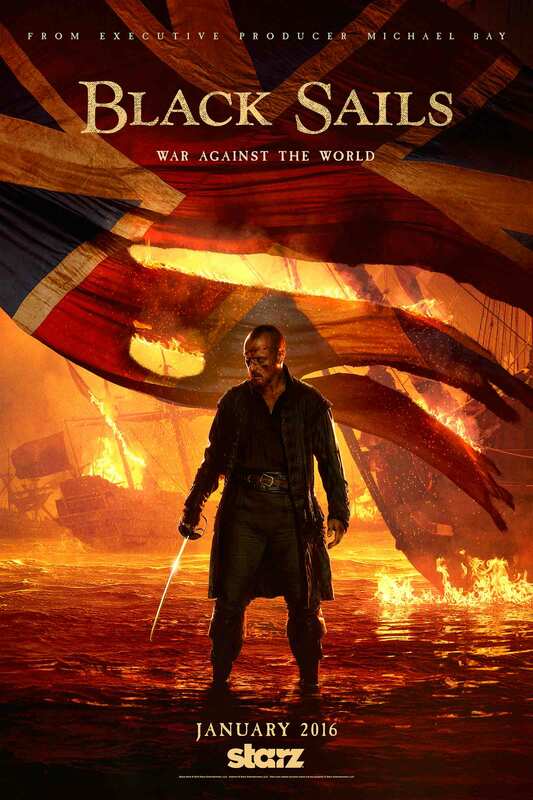 The series follows fictionalized versions of real-life pirates Anne Bonny, Jack Rackham, and Blackbeard as they fight to maintain control over New Providence Island in the West Indies. The first season received Emmy nominations for Title Design and Title Theme Music as well as two Emmy awards for Outstanding Editing and Outstanding Special Visual Effects in a Supporting Role.